A wunderkind needs an identity. This client has been a colleague and friend for many years. He is a serial entrepreneur, a patented inventor, and an active member of his community. He was named Top 40 Under 40 for Connecticut Magazine in 2015, and has been awarded the 2017 Tourism Rising Star Award and an Historical Preservation Award of Merit. He approached us for identity design for this solo venture, specializing in product development and marketing solutions for clients within the agriculture, emerging tech, and consumer electronics industries. Beginning with a brand consulting session, we helped fine-tune the direction of the brand, its value, and its target audience. We performed extensive competitive analysis to identify industry leaders and help the client to understand how to pivot the business around a true brand voice with a modern image. 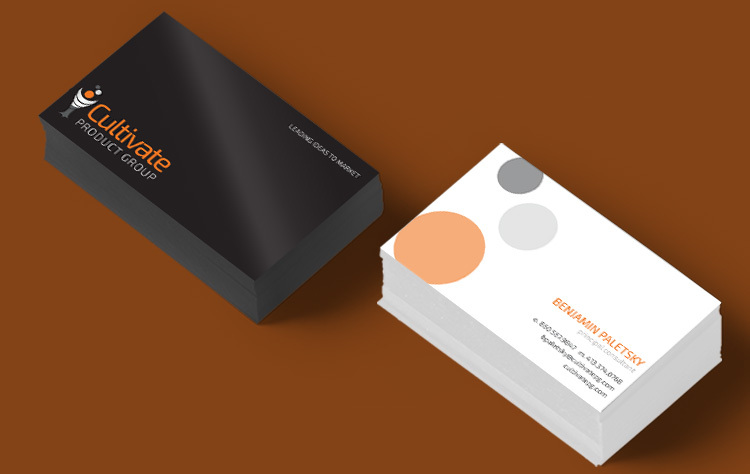 Moving then into brand identity, we designed a new logo and set of business cards. We also collaborate with the client on mutual projects within the emerging tech and sustainability markets.